(L to R) Carolyn Grimes, Program Director, Michelle Callahan, Director Of Communications and Will Barclay, Operations Coordinator of Future Chefs. 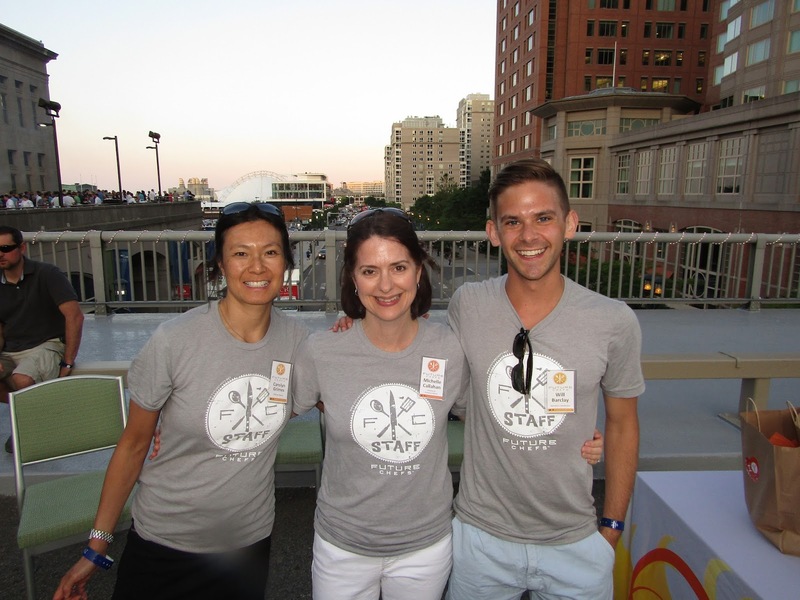 Seriously, who has a better-looking staff than Future Chefs? It was all hands on deck last night at the Seaport Hotel for the 19th annual Chefs In Shorts event with beautiful weather, the largest crowd ever and dozens of well-known local Chefs, all in shorts. They were grilling and serving up delicious dishes and drinks to over 1,000 attendees, all to benefit the great work that Future Chefs does for disadvantaged, urban students with an avid interest in food and the culinary arts. The always-gracious Chef Chris Coombs of Deuxave and his crew were there to lend support and feed the crowd at the sold-out event. 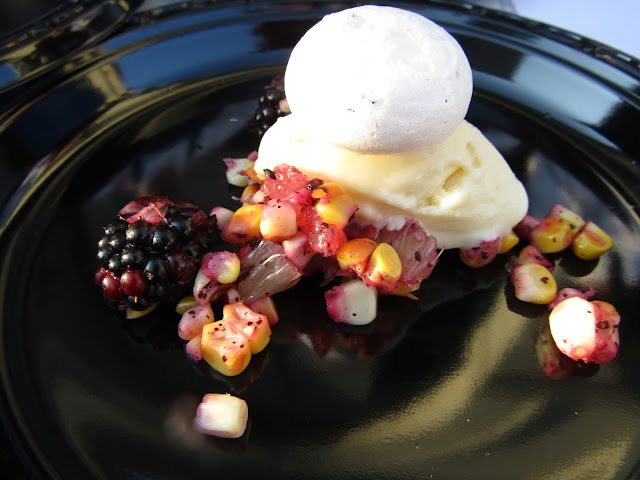 Chef's signature dish for the evening was Sumac Pavlova: Grilled Corn, Candied Lime, Blackberry and Corn Ice Cream, subtle, sweet and superb. Never had corn ice cream? It's more like an corn ice dream! Head on over to Deuxave. 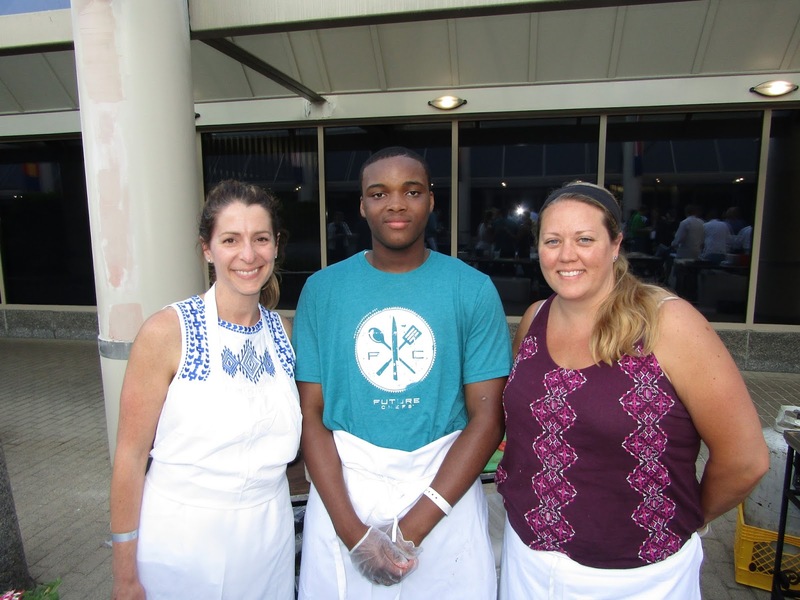 Public Relations star Nicole Kanner and Chef Suzi Maitland of Trina's Starlite Lounge were there, always big supporters of Future Chefs. 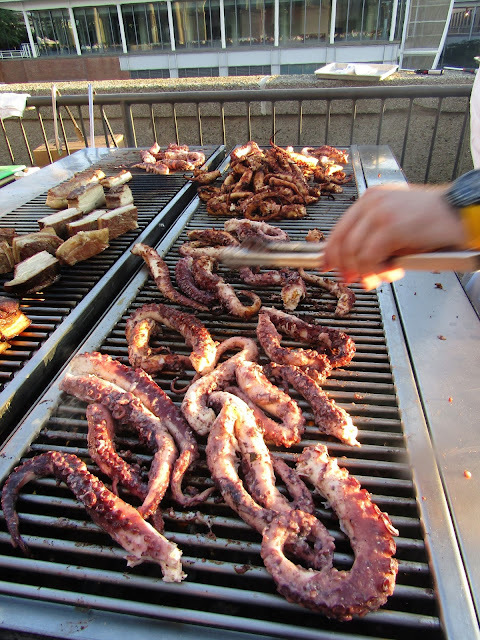 Grilled octopus was on the menu at Serafina's serving table. 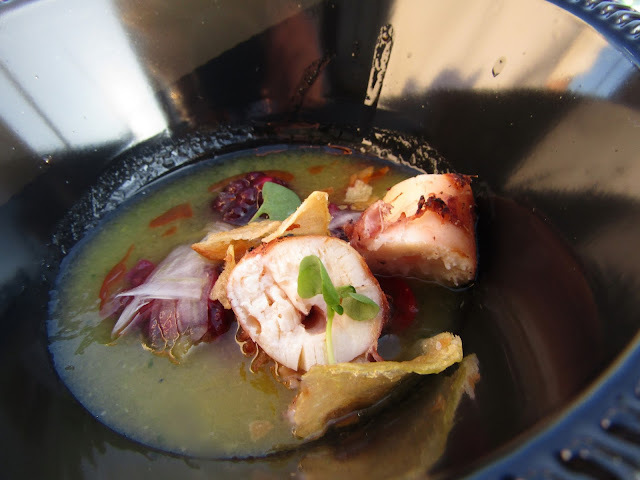 The Charred Octopus was served with a Yellow Watermelon Gazpacho, Fennel and Pickled Blackberries. This was one of our top tastes. Fruity and delicate, the octopus was incredibly tender and that watermelon gazpacho will definitely be on our summer dining-at-home menu. 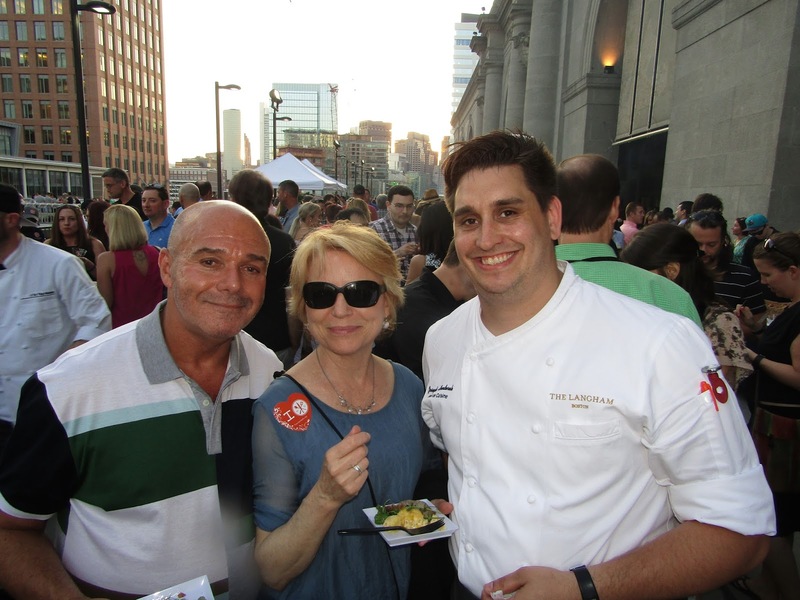 Pat Keegan and her crew were there, a longtime supporter and Board Member of Future Chefs. 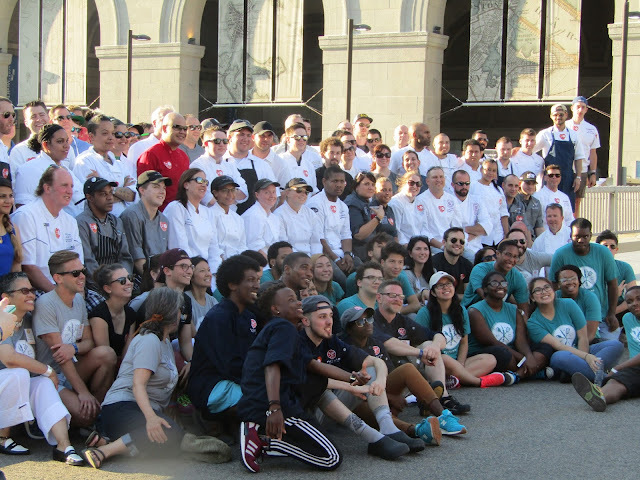 The annual group photo gathered all of the participating Chefs and the full Future Chefs team. Look at those smiles! 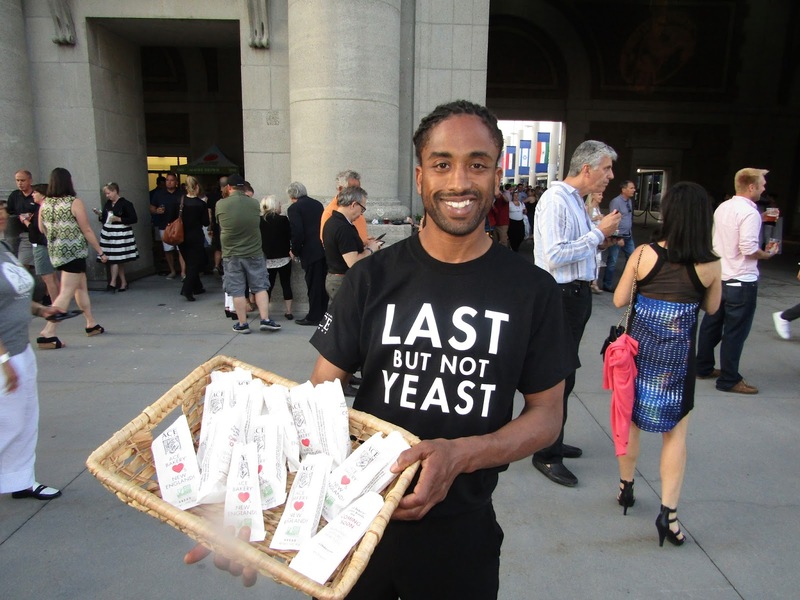 It also gave way to my new motto: "You're not living unless you're giving." 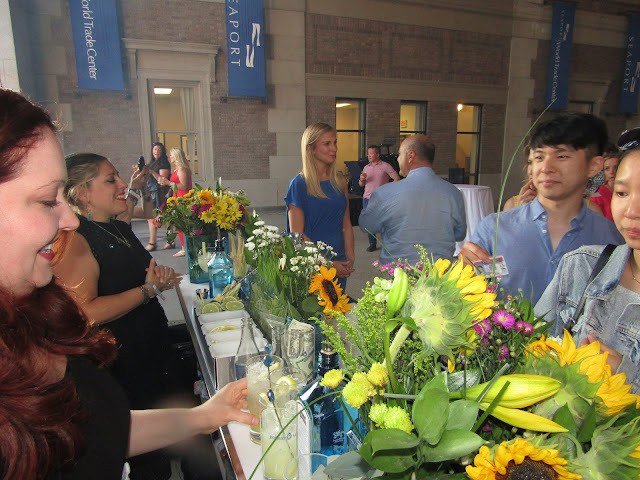 The ladies of Bombay Sapphire proved to be the most popular sip with long lines of guests queuing up for a generous pour. 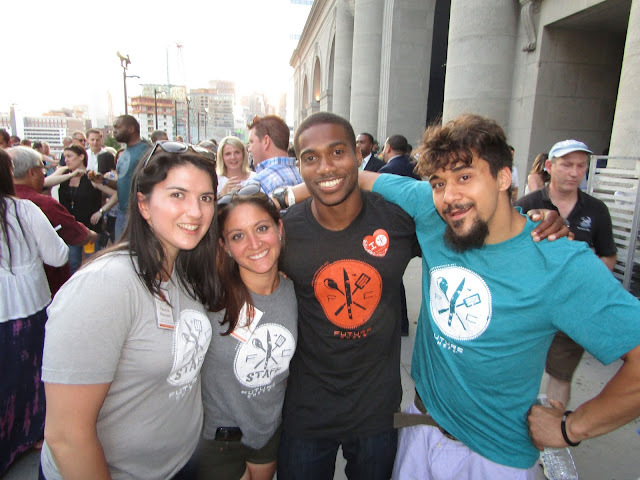 And last, but never least, were Future Chefs alumni, and now cooks at Foundry On Elm, Flaviana and Sandro. As a proud Ambassador and volunteer for Future Chefs words cannot express how gratifying it is to see our family of teens who with the proper guidance, mentoring and apprenticeships, grow into their roles as Chefs and Cooks in so many of Boston's most popular and successful restaurants. They are the future. 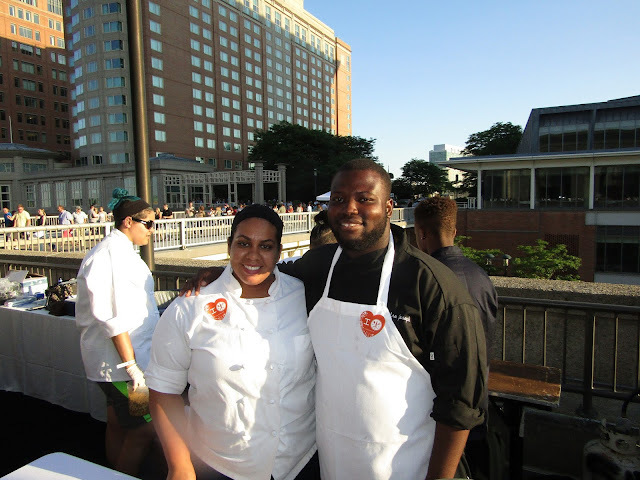 Thanks to Toni Elka, Executive Director of Future Chefs, The Seaport Hotel and ALL of the participants and people who attended for their support and for enjoying Boston's best kickoff of the summer grilling season. 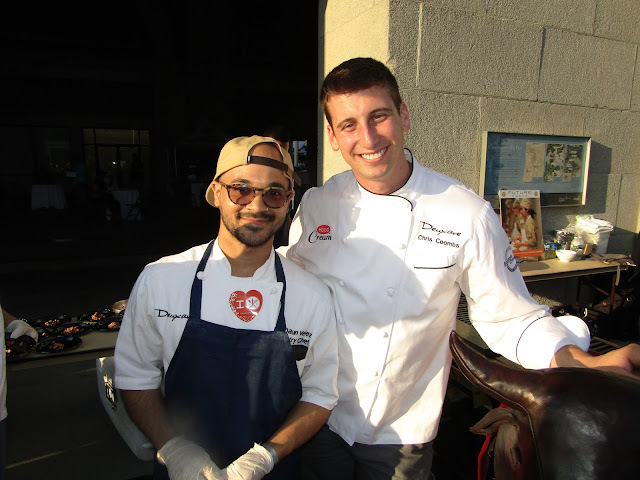 For more information on this non-profit organization and the stories of people involved with it please visit the Future Chefs website. You will want to be a part of it.